A FAQ TREAT FOR YOU! 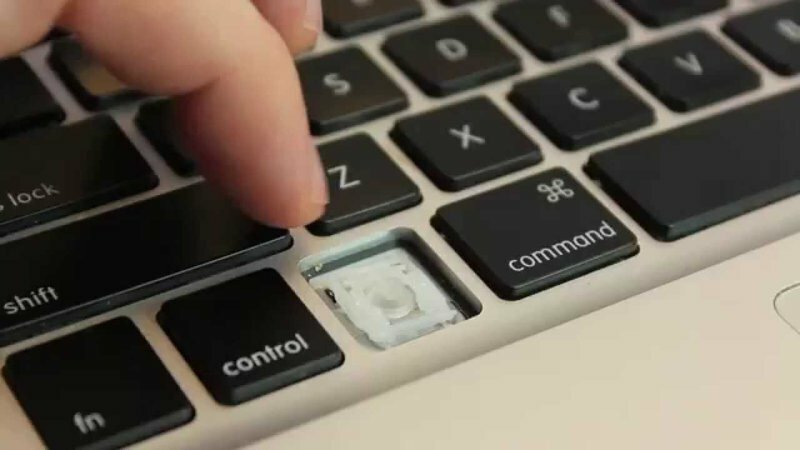 Struggling hard to fix a broken key on your laptop? You have landed exactly at the right place. 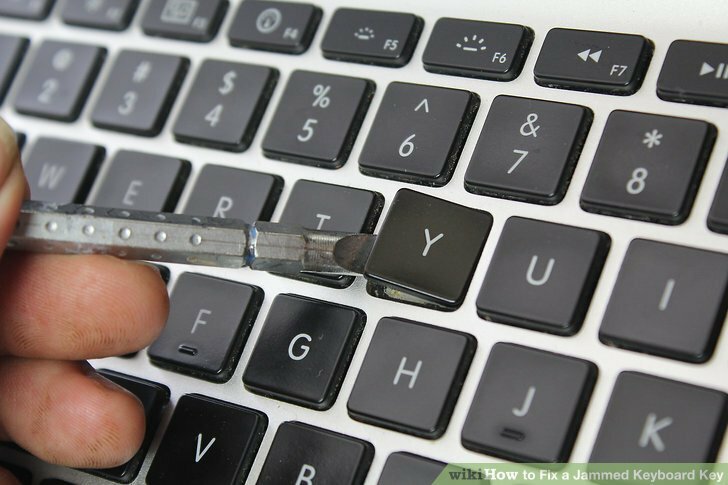 In today’s article I'm going to tell you all about How you can fix a broken key on your laptop with the minimum possible efforts. One bad key on your laptop’s keypad, and you can’t even deliver an email properly! Working with the on screen keyboard is the second option but why not just bring out a long term solution and fix a broken key on your laptop instead? So let’s just begin with the tutorial. Check out the numlock key first. If its off, all well. If its not then turn it off otherwise it can make some of the keys on your laptop’s keyboard all useless. THIS IS AN IMPORTANT CHECK AND YOU DO HAVE TO TAKE IT INTO CONCERN. 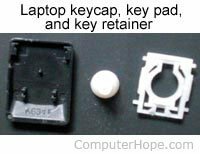 I’ll hereby tell you about the basic components of your laptop’s key, in case if you are not familiar with these before. A laptop’s key has three major parts if you explore it from the inside. First comes the KEYCAP, that is visible to you clearly. When you pluck that key cap out you would see a frame that carries the keycap known as the KEY CARRIAGE. Finally at the bottom you would find a KEYPAD, the part that keeps the other two parts stick to one another. Remember that in case of a computer’s keyboard there are two carriages unlike that of a laptop that has only one. So you well explored the internal of your laptop’s key? Great! 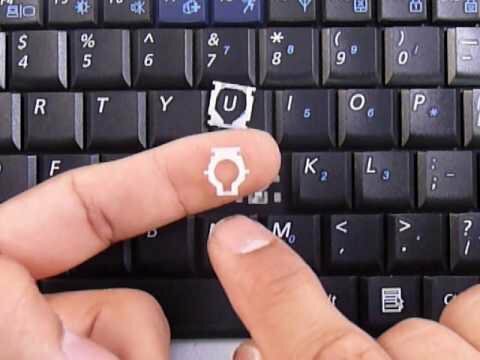 First things first, look around and gather the basic tools which can help you fix a broken key on your laptop. You may already be knowing that a key might not be working well because something is stuck inside there which you need to identify and remove. 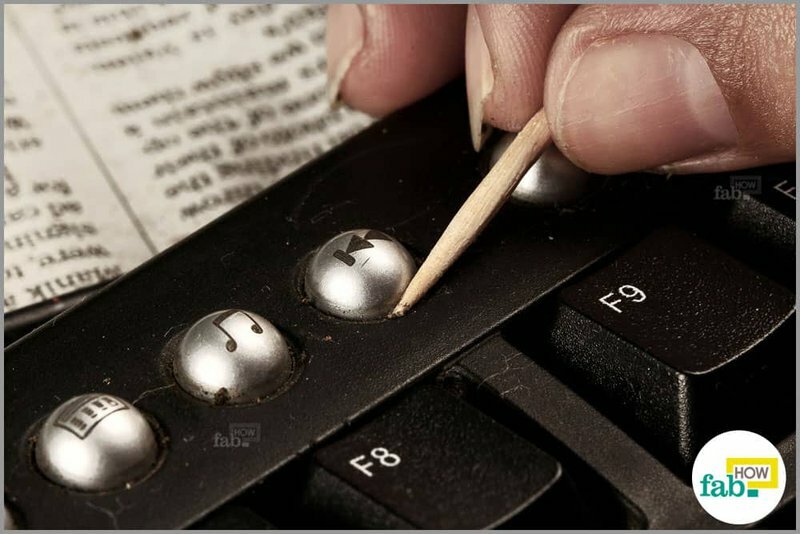 For removing some kind of dirt or dust from inside of a keyboard you definitely need something that can release all the pressure that the broken key holds. I’ll mention the things that are easily available around you when you are home, so no worries! Its not like this is an unsafe task but safety is always better you know. Don’t forget to unplug your laptop in case if its connected to a charger. This is very necessary. You would be dealing with a butter knife which is obviously metal and can cost you great deal if you forget to remove the adapter. Secondly, make sure your laptop is turned off. You cant work with your laptop on that is very obvious. After turning it off wait for some time so that it gets a little less hot. Now since you have already set up the safety plot, search for a secure place where you can fix a broken key on your laptop with ease. It is best to look for an indoor area that has optimum light with clear visibility. Only if the area is flat it can further speed up your work. Using a cotton bud, gently clean the area around the broken key. Move the cotton bud in square motions continuously around the key to make sure it is properly cleaned. 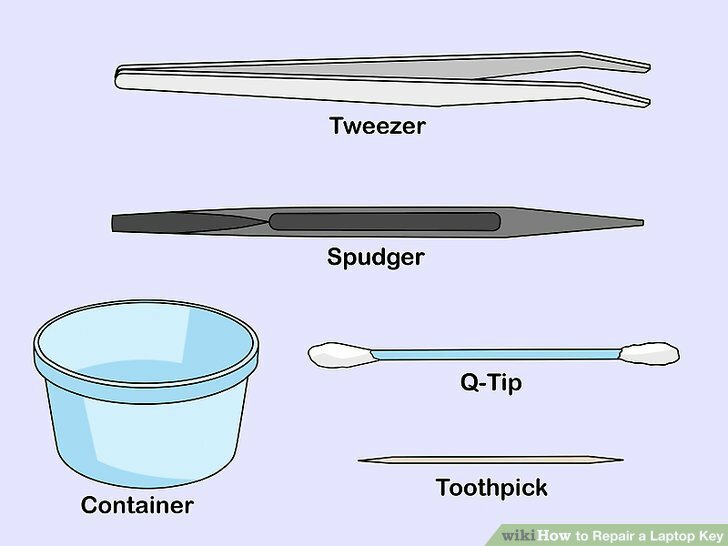 In case if the key is a bit sticky or dirty on the outside, you can use a little bit of water (just the amount that the tip of the cotton bud can absorb well). 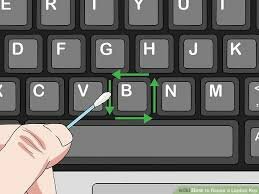 With that wet-dry tip of the cotton bud, clean the key and make it shine as if you purchased a brand new laptop just now ?. Now clean the key from the sides and reach a little beneath it. A toothpick can work best here. Its fine tips can safely reach the tiny sides of the key and remove any kind of loose dust that may escape beneath and create further damage. Carefully pick up the butter knife and apply the 45 degrees angle trick. Hold the knife straight on the left most corner of the key and rotate it to an angle of degrees 45. 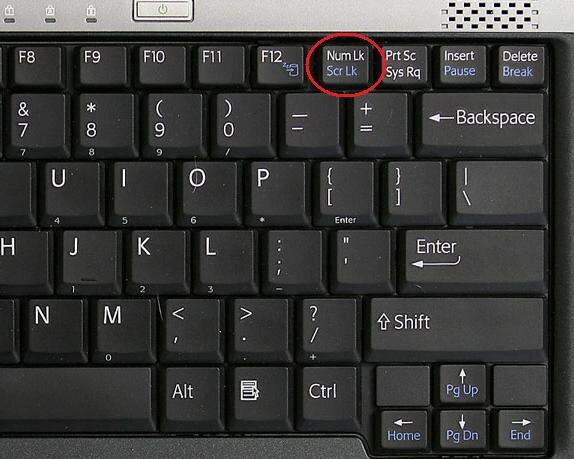 This would easily struck the key off the keyboard without causing disturbance in the other usable laptop keys. Do this work with great care, because plucking the wrong way may break the plastic key. Trending story How to use Chromecast on a laptop in 2019 . Here you need to make a little of an observation. Check if beneath the key, the key carriage is a bit tilted or at the wrong place. Try fixing it manually and see that if the key gets fixed here and is now usable. If the key gets back to work by pressing down on it, you are all done here. No need to further proceed to step 6 because your broken key is already fixed. LUCKY YOU! If this is not your case, proceed to step 6 and believe that hardwork is always fruitful ?. With great care and proper observation, remove the key carriage and the keypad. Handle them both with care and safely place them in the bowl until you do the cleaning. Now the space for the broken key is all empty. CLEAN WELL. Make sure there’s no dust remaining in the slot. You may use a cotton bud (a clean one) and that toothpick for this purpose too. Also clean the carriage if its dirty or sticky. This is the final step. Set up the key in its original order. Place the carriage back into its cleaned home, then the keypad at its center. Make sure the carriage holds fixed place there in its slot, and doesn’t slip easily around later on. Now place the keycap and press on it gently so that everything sets back to its place the way it was earlier. Turn on your laptop now and perform a check. DID IT WORK? Let me know in the comments below! I’ll be happy to solve your queries in case if you still couldn’t fix a broken key on your laptop. You may also want to know How To Clean a Laptop Touch Screen in 2019 . Can a laptop keyboard be repaired? 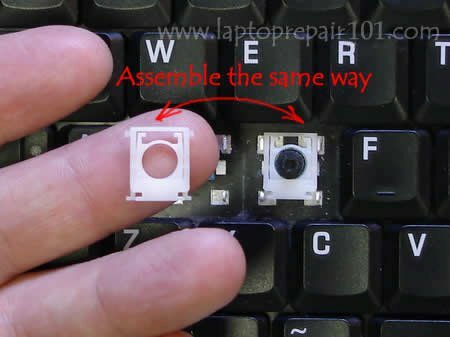 Yes, you can repair the whole of your laptop’s keyboard. For that you have to set aside atleast a hundred dollars. Purchasing the whole set of keys and repairing them one by one on your own can be useful too. My laptop beeps while I type. Why So? This happens when a toggle key or a sticky key is active. When the toggle key is active you would heard a beep when you press on any of the lock keys. When the sticky key is active pressing on CTRL, ALT AND SHIFT can cause you system to make a beeping sound. 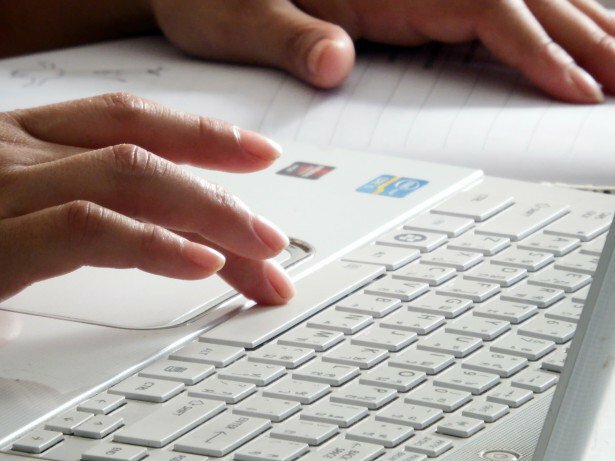 How do you easily clean your laptop’s keyboard? Turn off your laptop and search for a dustbin nearby. Hold the laptop firmly and shake it over the bin to clean any kind of foreign material beneath the keys. Also you can spray a little amount of cleaning liquid and then wife off with a napkin. You may also use a cotton bud with a bit of water and clean every of the key on the keyboard separately. Tedah! You are always welcome to ask me about your questions in the comment section. I and my team are here to serve you for all your queries regarding Laptops with great attention to technical details. Stay tuned for further tutorials! How Can I Make a Phone Call from a Laptop?